The Pitfalls of Discounting Service? When it comes to sales and service transactions in the retail automotive industry, a main strategy in acquiring new customers or repeat business has always been to offer discounts. Most auto dealer advertisements on television, radio, online, or delivered via any other medium, are based around price discounts. “Save $12,000 off MSRP on this truck,” or “Come in and get an oil change for just $19.99,” are common messages dealerships use to bring in new customers and reignite relationships with those who may have disconnected from the dealership. But are discounted promotions a sound long-term customer acquisition & retention strategy? While dealers hope these newly acquired sales or service customers will stick around and return as a regular customer, sadly, for the most part, this strategy backfires. When these customers need service, they simply run to the dealership or independent that sent them a service coupon with the best offer. And this is why consumers tend to focus on price…it forces a continuous race to the bottom. 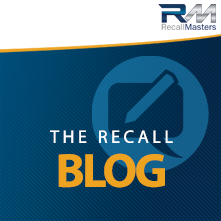 Recall marketing attracts new customers with no mention of a discount. The manufacturer pays for the repairs! A good marketing strategy is to offer a discount on services to recall repair customers. Instead of sending marketing to random people (conquest), or existing customers trying to get them back in, consider sending discount offers to customers with existing recall repair work. These are a captive audience as they have to come into your dealership. AND, as they tend to have older vehicles, many end up needing additional repairs. If you arm these customers with a discount in hand before they show up, you don’t appear to be attempting to take advantage of them when you find additional work is needed. And it works! However, offering discounts to encourage loyalty, retention and acquisition can be effective. If those discounts are used to continue a relationship. If they’re only used as a way to start one, it will probably only be a first date.